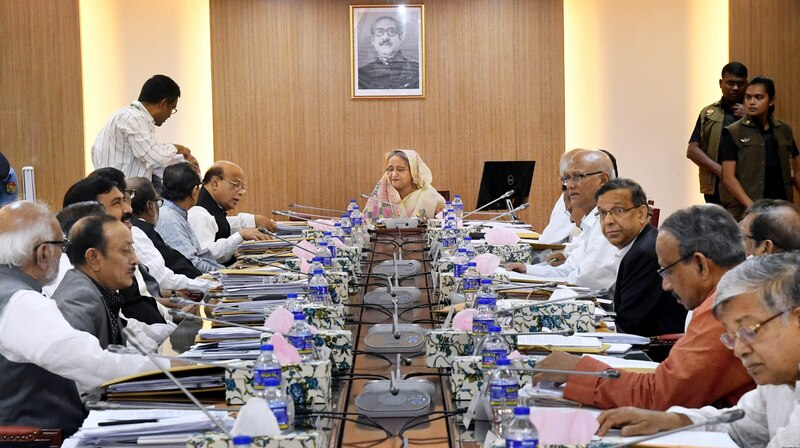 Probashbangla24 online Desk : The cabinet here on Monday approved the draft of the Broadcast Act 2018 which will form a commission to observe the overall activities of media outlets including print and electronic ones. The fresh draft of the law has been approved at a cabinet meeting chaired by Prime Minister Sheikh Hasina at the Secretariat on Monday. After the meeting, Cabinet Secretary Md Shafiul Alam told reporters that the new law was drafted after discussions with those who could be affected by it. The proposed law would form a seven-member Broadcast Commission that would be appointed through recommendations from a search committee, said the secretary. He also disclosed that the commission will be the sole authority on the registration of online media outlets. “It’ll also give broadcast licences to the media outlets,” said Secretary Alam. In addition to the formation of the commission, the new law provides details regarding the appointments of the commissioners, the qualifications necessary, the length of their terms, the conditions for their resignation or removal, their ranks and remuneration, he added.